The quarter saw an overall capacity increase of 3.8% compared to the same quarter last year, when measured in terms of ASKs (available seat kilometres). ASKs again grew due to better aircraft utilisation not by fleet additions. Revenue passenger kilometres (RPKs) grew by 2.1%. Load factors and yields both dropped indicating pressure on revenue. Load factor come down 1.4% to 81%, compared to the same quarter last year and while average passenger fares were down between seven and ten per cent. These two metric are a result of the intense competition within the sector and Jet lost out both on sales by volume and on driving yield. With new capacity being added by virtually every competitor, IndiGo, Go Air, Tata-SIA Vistara, and possibly Air Asia, and Jet’s focus on driving better operational efficiency – the network will have to be revisited for adjustments. Indeed, Jet indicated that it is working on “de-bottlenecking” within the network. With a total operational fleet of 106 aircraft, the first quarter Q1 saw network-wide utilisation of 12.9 hours per aircraft. The work-horse Boeing 737s which constitute 75% of the fleet saw utilisation of 13.6 hours each. Pushing this higher with a ‘Full Service’ model, which requires more turn-around time, will be challenging. Staffing for these higher utilisation levels continues to put a strain on Jets pilots and additional hiring is inevitable. Without the requisite pilot numbers in place, operational integrity will become more fragile as utilisation levels rise. Operating revenues were at Rs 5,112 crores with operating costs of Rs 4,993 crores. Gross operating income was Rs 118 crores. Transfer of the Jet Privilege frequent program brought in other income of Rs 188 crores bringing the total up to Rs 306 crores. However burdened by finance costs of Rs 204 crores resulted in a net profit of Rs 103.1 crores. Compare this quarterly result, to the full year Rs 100 crore operating profit projected for Air India and the hoopla being created by the government of India. The Revenue per Available Seat Kilometre (RASK) was Rs 4.22, while the Cost per Available Seat Kilometre (CASK) was Rs 4.19. Jet earned a mere three paise per ASK flown on the network i.e. a margin of 0.71%. With a market-share of 19% and a capacity-share of 20%, the forward looking projections for the domestic market don’t look very appealing. It is no rocket science that Jet is concentrating on the international market from where it derives 56% of its revenues. Expense to sales ratio for Q1 was 92% and the burgeoning talent wars in the market drove a 17% increase in employee costs. Leasing income from aircraft and engine rentals was a significant Rs 216 crores. mainly driven by the lease of six Boeing 777-300ERs to 24% stake holder Etihad Airways PJSC. These aircraft have commenced being returned back to Jet and this will impact both revenues and cash flow. Leasing cash flow is stable compared to operational cash flow which follows demand peaks and troughs. Debt levels continue to be a cause of concern. In Q1, total debt stood at Rs 10,805 crores with close to 40% of this debt being aircraft related. Additionally, 85% of debt is dollar denominated and with the strengthening dollar and forecast rise in fuel price, debt reduction will be foremost on the agenda. Cash generated was mainly used to reduce debt by 358 crores. As of the quarter, Jet is trying to raise funding of $180 million (Rs 1,200 crores approximately) via overseas investors and banks. The quarter saw Jet focus on driving up yield and attempting to clearly differentiate itself as the full service carrier of choice. This trend is likely to continue and several initiatives are under-way. Jet introduced eight levels of fare choices on August 17, each with varying levels of benefits. The changes are clearly weighted to favour the higher yielding passenger. 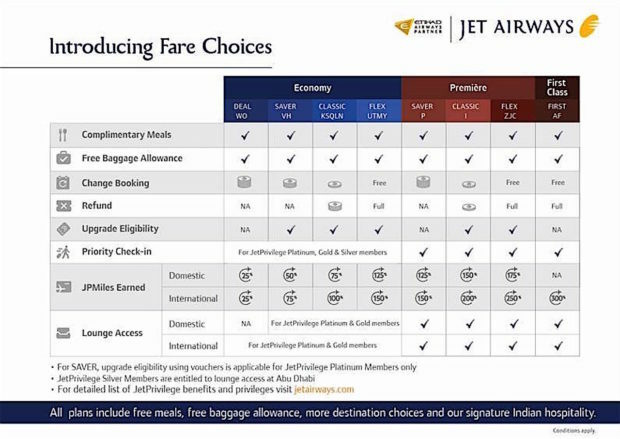 Going forward Jet will offer only one fare level in first class and also give greater focus on direct sales to reduce GDS costs. However, there is no defined sales strategy for reducing costs of servicing the corporate high yielding passenger who typically uses a travel agent, which costs the airline commissions. With the return of the Boeing 777-300ERs leased to Etihad Airways, Jet will deploy these aircraft on the Singapore, London Heathrow, Amsterdam and Dubai routes. On certain routes this will mean an almost 50% increase in capacity. 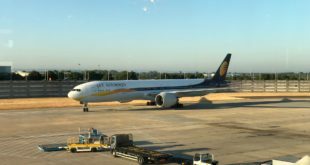 Jet has already raised the ante on competitors from Europe, south-east Asia and the middle-east/Gulf by offering a consistent Boeing 777 product on the London Singapore route using the new award-winning integrated terminal 2 at its Mumbai hub. The airline will also compete with Singapore Airlines on the Mumbai Singapore route and with Emirates on the Mumbai Dubai route, both of which deploy 777-300ERs to Mumbai, along with one flight of their A380s. On these shorter routes, which are also cargo intensive routes, Jet will also gain from the massive increase the belly hold cargo capacity of the 777. The deployment of the 777s to Amsterdam will further strengthen the existing partnership between Jet and SkyTeam members Delta Air Lines and Air France-KLM. Delta has already pulled out of India, and Air France-KLM operates to just New Delhi, Mumbai and Bangalore. There are unconfirmed rumours that Air France may trim an Indian city from its network. The 777s will accommodate the additional traffic for Jet. However, given the costs of flying a 777-300ER the financial implications of this strategy are unclear and will force Jet to realign its schedules to feed a wider network out of these cities including possibly exploring alliances beyond Etihad Airways and its partners. While the 777s are being touted as complementing the Jet network, the airline’s limited network has been long considered its Achilles heel. The shorter stage lengths do not justify the deployment of 777s, and an outright sale of these wide-bodies or new lease arrangements cannot be ruled out. Interestingly, Jet will reduce its Abu Dhabi flights to the narrow body 737, something Bangalore Aviation has been consistently elaborating on. This is curious given the large volumes of passengers being flown to Abu Dhabi by Jet. With no additional domestic aircraft capacity planned Jet’s strategy going forward is based on dual pillars of driving yield on the commercial side while focusing on operational efficiency to drive down costs. The CASK reduction will be largely driven by performance engineering initiatives including Auxiliary Power Unit (APU) usage, optimal climb and descent profiles, routings and operational efficiency. The re-negotiation of some maintenance contracts also is a possibility. 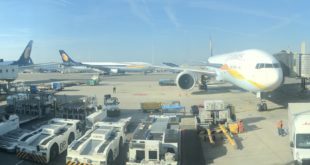 Due to its larger size and more complex business model, Jet Airways will need to fend of challenges on both, the domestic and the international operations. 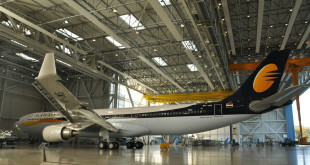 The domestic market has going to witness capacity wars previously unseen in the Indian market; the regional market (Jet still operates 18 ATRs) is seeing new interest after the release of the Indian government’s Regional Connectivity policy. With the elimination of the five year requirement to fly international, and the international market witnessing further growth by low cost carriers, Jet is set to face intense competition in the medium term. 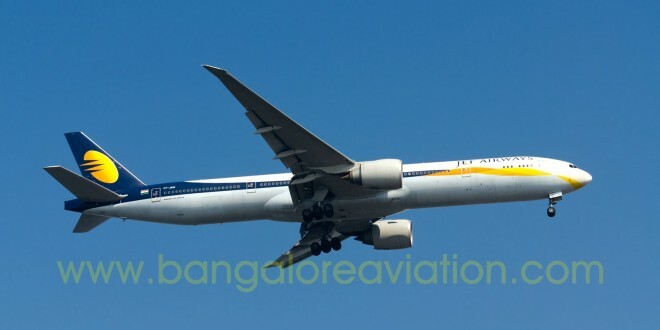 Overall, Jet Airways will face headwinds and competition on several fronts and a turbulent ride is likely.